1999– University of Helsinki, postgraduate studies. Erzya language, 2 points. Northern Lapp, 4 points. Lithuanian, 6 points. Old Church Slavonic, 2 points. Swedish for foreigners, 2 points. 1997 Mitthögskolan, Sweden. The forest Finns in the Nordic countries, 5 points. 1994–2000 Finnish-Russian-Finnish: Translating of written communication and user's manuals for St. Petersburg construction enterprise Petrodomus Ltd.
Kirsanov N. O. Russian river names in the North-West of Russia and the South-East of Estonia: Hydronyms ending in -v&zcaron;a // ACTA LINGUISTICA PETROPOLITANA. Transactions of the Institute for Linguistic Studies / Ed. by N. N. Kazansky. St.Petersburg. : Nauka, 2003. Vol. VIII. Part 1. Acta Fenno-Lapponica Petropolitana / Ed. by N. V. Kuznetsova. — 2012. — P. 329–337. — Bibliogr. : p. 335–337 (33 ref.). — In Russian with an English abstract (p. 612). Kirsanov N. O. Predecessors of Contemporary Russian õ in the Toponymy of Ingermanland // Linguistica Uralica. — Vol. 42, issue 3. — P. 211–217. — Bibliogr. : p. 216–217 (24 ref.). — In Russian with an English abstract. — Cited in А. С. Касьян. Отражение праславянской фонемы *ы в старопсковском диалекте разговорника Т. Фенне как архаизм // Вопросы языкознания, №4 (2012). С. 73–100. Kirsanov N. O. Determining the Distances between Certain Finno-Ugrian Languages by Comparing Ideally Translated Texts // Langues proches — Langues collatérales — Near Languages — Collateral Languages: Actes du Colloque international réuni à Limerick (IRL) du 16 au 18 juin 2005 / Éd. J.-M. Eloy, T. Ó hIfearnáin. — Paris: L'Harmattan, 2007. — P. 105–115. Kirsanov N. O. The Names of Ingermanlandian Villages Containing Sibilants and Affricates // Studies in Language Interference (European Russian, Siberia, Far East) / Ed. by A. Krasovitsky. — Bulletin des Phonetischen Fonds der russischen Sprache. — No. 9. — Bochum, 2004. — P. 65–77. — Bibliogr. : p. 76–77 (16 ref.). — In Russian. 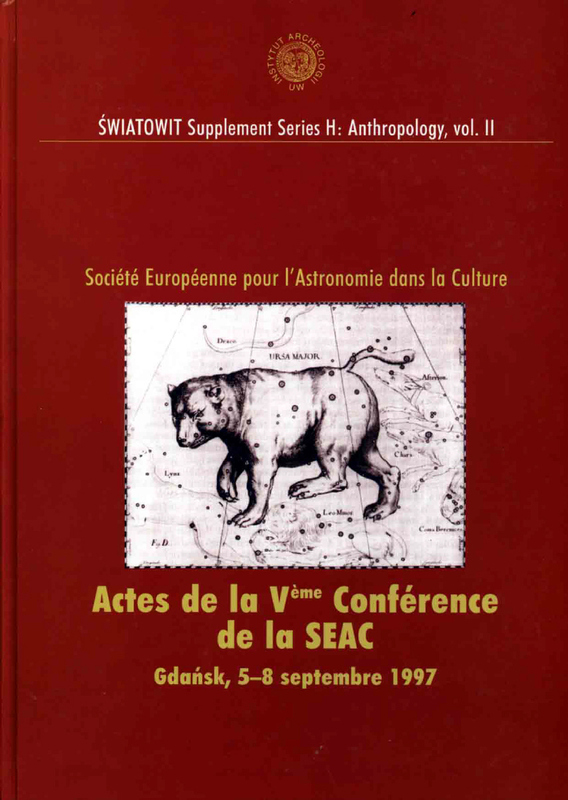 Kirsanov N. O., Gogin N. D. Astronomy in Kalevalian epic poetry // Actes de la Veme Conference Annuelle de la SEAC. Gdansk 1997 / Departement d'Anthropologie Historique, Institut d'Archeologie de l'Universite de Varsovie; Musee Maritime Central. — Warszawa; Gdansk, 1999. — P. 239–250. — Bibliogr. : p. 249–250 (28 ref.). Kirsanov N. O. A language to describe the morphology of natural and artificial languages // Proceedings of LP'96 / Ed. by B. Palek. — Prague, 1997. — P. 365–374. — Bibliogr. : p. 374 (11 ref.). Kirsanov N. O. The Motion of Hyperion: On the Accuracy of the Observations // Dynamics, Ephemerides and Astrometry of the Solar System / Eds. S. Ferraz-Mello et al. — The Netherlands, 1996. — P. 137–140. — Bibliogr. : p. 140 (5 ref.). CCD Astrometric Observations of the Saturnian Satellites System on the 26-inches Refractor at Pulkovo To Be Made in 1995–1996 Campaign and Their Comparison with the Parallel Photographic Observations / Zamarashkin K. N., Kirsanov N. O., Kisseleva T. P., Kisselev A. A., Batrakov J. V. // Annales de physique. — 1996. — Fevrier. — Colloque C1, supplement au no. 1, vol. 21. — P. C1-161–C1-162. Kirsanov N. O. A Theory of the Motion of Hyperion // Annales de physique. — 1996. — Fevrier. — Colloque C1, supplement au no. 1, vol. 21. — P. C1-37–C1-40. — Bibliogr. : p. C1-40 (11 ref.). Kirsanov N. O. On the Motion of the Seventh Satellite of Saturn // Astronomical and Astrophysical Transactions. — 1995. — Vol. 7. — P. 255–257. — Bibliogr. : p .257 (5 ref.). Kirsanov N. O. The Orbits of Hyperion and Titan from the 1967–1981 Observations // Astronomy Letters. — 1995. — Vol. 21, No. 2. — P. 203–206. — Bibliogr. : p. 205–206 (18 ref.). — Translated from Pis'ma v Astronomicheskii Zhurnal, Vol. 21, No. 3, 1995, pp. 231–234. Kirsimo M. On the Votian Folk Spelling // Verschwundene und verschwindende Ethnika des Baltikums. Probleme der Rekreation. — Labguva; Aukštagiriai, 1994. — P. 29. — Cited in Lauerma, Petri Kirjakielten kehittämisen kiivaus (Arv. teos: Slaavien kirjalliset traditiot ja kirjakielet. Aatehistoriallisia taustoja, kielellisiä valintoja, identiteettien kehityksiä / Juhani Nuorluoto. — Helsinki, 2003) // Tieteessä tapahtuu. — Helsinki : Tieteellisten seurain valtuuskunta. — 2004 : 4. — P. 61–65. — Bibliogr. : p. 65 (5 ref.). Anosova J. P., Kirsanov N. O. On Forming of Binaries by Close Triple Approaches with Equal- and Different-Mass Bodies // Comments Astrophys. — 1991. — Vol. 15, No. 5. — P. 283–297. — Bibliogr. : p. 297 (25 ref.). — Citation history (9 citations). Should you believe that this text infringes your copyright, write me to yritys@willey-winckey.org,if you please. Typeset mostly by hand with Smultron and TextWrangler.